Recognize what we do well. And then build on that by working enthusiastically and relentlessly to do it better. 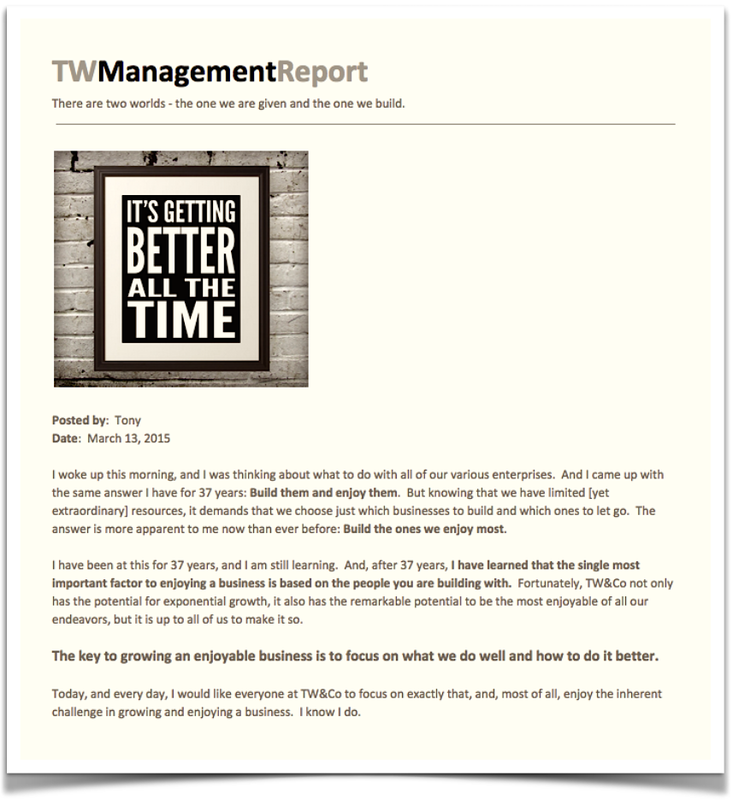 This entry was posted in TW&Co by Tony Walker Today. Bookmark the permalink.